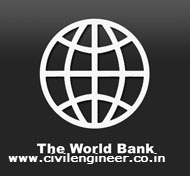 World Bank Injecting a major booster into the Tamil Nadu road sector, the World Bank has agreed to invest Rs. 8,533cr in building and upgrading over 1,600 km of roads in the state. In addition, the state government has also stepped up activities to generate funds from various sources to further strengthen its road network to sustain the pace of economic growth being witnessed in the state. In this connection, it has earmarked Rs 2,980cr under the Comprehensive Road Infrastructure Development Program in the current year against Rs 2,200cr during the same period last year. The objective of the program is to upgrade over 2,000 km of six-lane roads to eight lanes and 5,000 km of four-lane roads to six. According to Principal Secretary, Planning & Development, TN Government, S. Krishnan, despite the overall slow-down in lending for large projects, the State Government has a clear plan to focus on infrastructure projects. It has estimated that for projects over Rs 15 lakh-cr funding will be needed for investment in infrastructure over the next 10 years. During the first meeting, the Tamil Nadu Infrastructure Development Board, the agency that identifies and prioritizes infrastructure projects, set up 14 expert panels in various areas relating to infrastructure such as transactions, technology and commercial advisors to guide the implementation of infrastructure project across sectors. The Government has recognized that corridor-based development with Chennai-Bangalore and Bangalore-Mumbai corridors is set to attract major investment for the southern states.